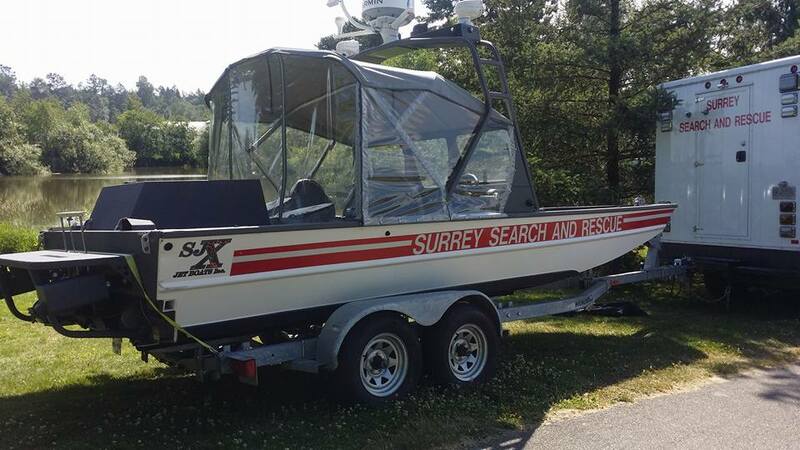 Founded in 1973, South Fraser Search and Rescue, formerly Surrey Search and Rescue (SSAR) is a registered non-profit society devoted to the recovery of missing persons primarily in the Southwest region of British Columbia. Powered by a dedicated group of volunteers, SSAR also provides personal preparedness education and resources to the community through participation in special events and public engagements. Our members train and practice regularly so that we are always ready to answer the call. SSAR primarily covers the municipalities of Surrey, White Rock, Delta, and Richmond. Mutual Aid Support is also provided to other search and rescue organizations across British Columbia. The team’s many capabilities include: ground search and rescue, rope rescue, mountain rescue, swiftwater rescue, inland water rescue, evidence searches, evacuation assistance, spotting and tracking. South Fraser Search and Rescue responds to call-outs for missing, lost or injured persons. Call-outs are initiated by the Royal Canadian Mounted Police or the municipal police force with jurisdiction in the search area. If you wish to report a missing person, please contact your local police department.